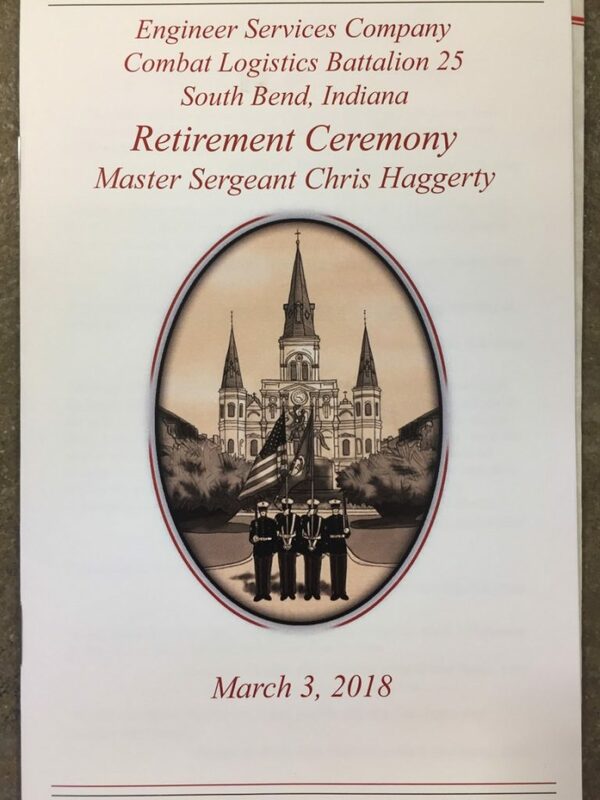 On Saturday 3/3/18 Lt. Chris Haggerty (Master Sergeant – United States Marine Corp) retired from the USMC. Chris served both in active duty and reserve roles for many years and was assigned to the Engineer Services Company, Combat Logistics Battalion 25 based out of South Bend, IN. Chris also had several overseas deployments. CONGRATS CHRIS AND THANK YOU FOR YOUR SERVICE TO OUR COUNTRY!